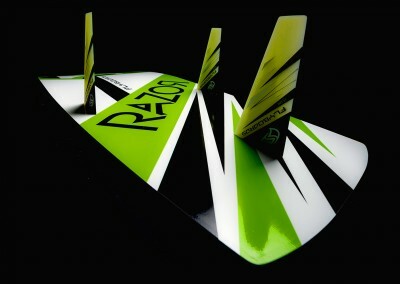 One highlight of the Razor is the extremely pressure resistant and light Airex foam core which is laminated with a robust layer. 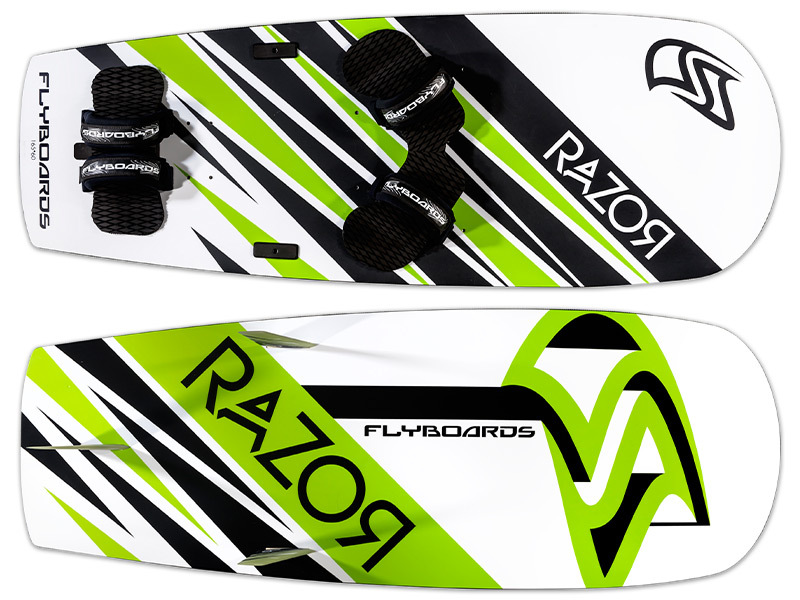 Due to this layer the Razor is extremely durable and easy to transport. 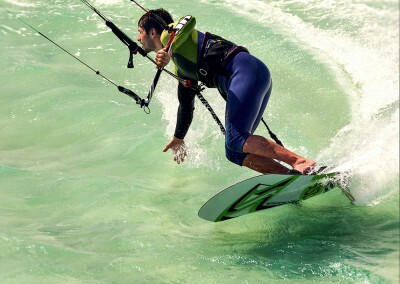 The innovative assembly of a unidirectional woven layer lengthwise and an additional woven layer (torsion layer) at a 45-degree-angle achieves considerably higher torsion stiffness. 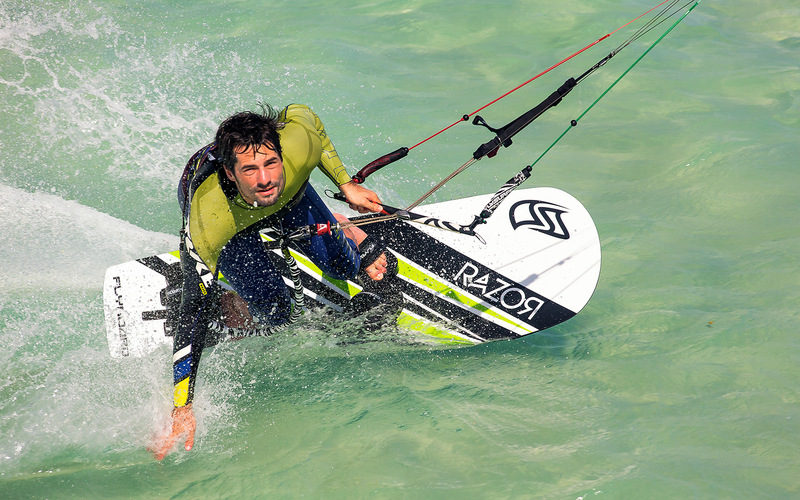 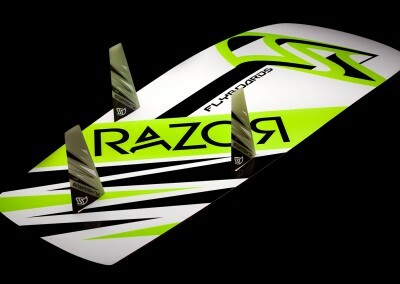 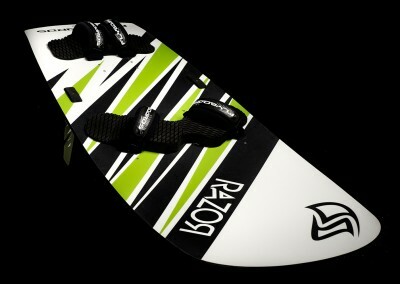 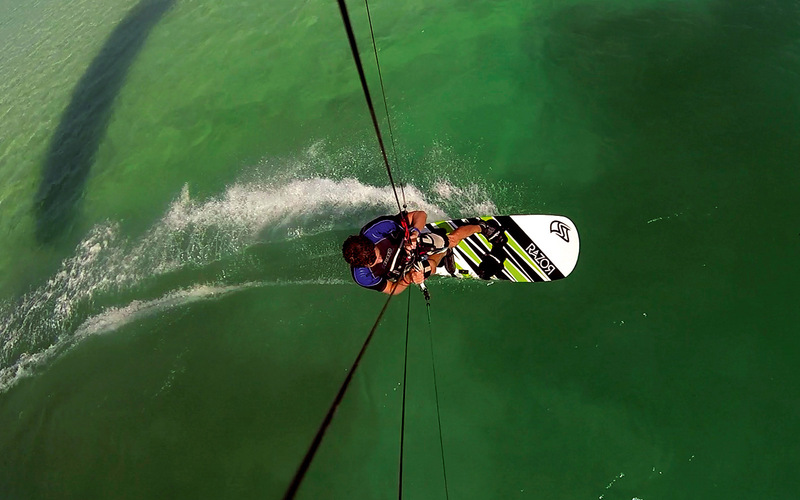 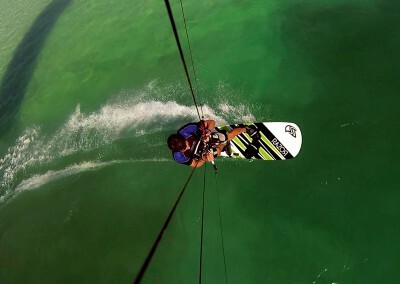 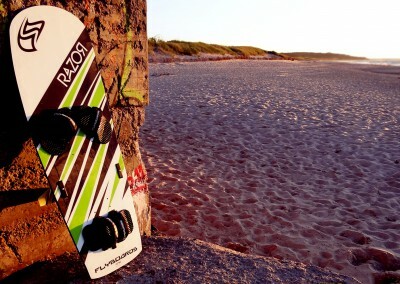 Unlike conventional race boards the Razor has some flex which gives it a more comfortable ride. The ease of use of the Razor is due to the way the fins are positioned and shaped, the shape of the deck, tucked under edge and the flex. 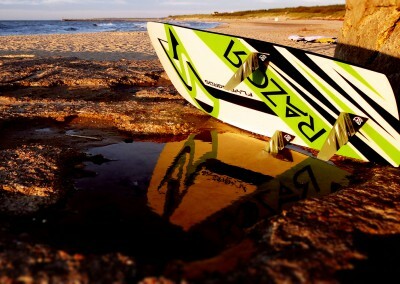 It is a lot easier than a race board because you can ride it on its edge like a normal twin-tip for a few metres to get going. 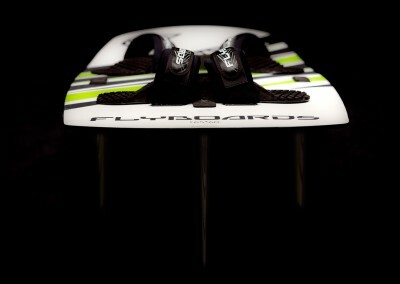 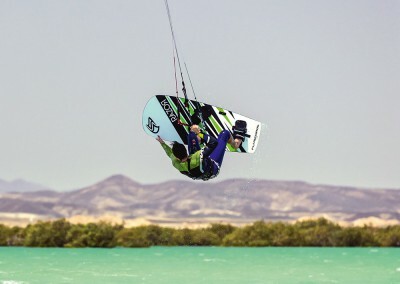 The innovative mini-tuttle-box-solution connects the fins with the super thin board (16mm). 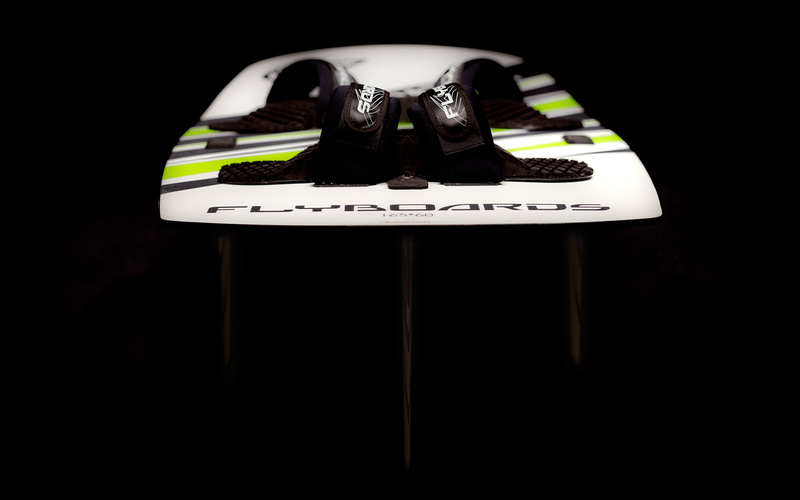 The 25cm long performance fins are made of sold G10 and offer the best compromise between user experience, ease of use, and performance. 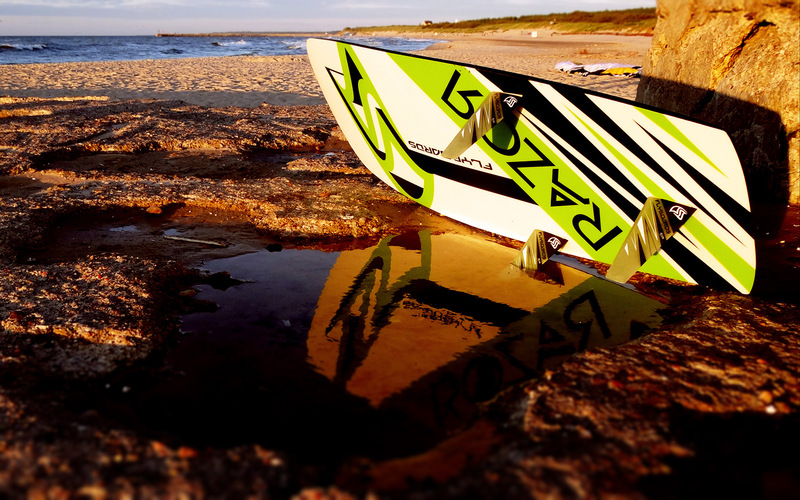 The EVA pads offer a great grip and are raised at an angle allowing you to ride the Razor flat on the water more easily. 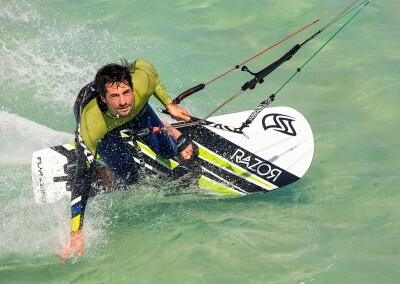 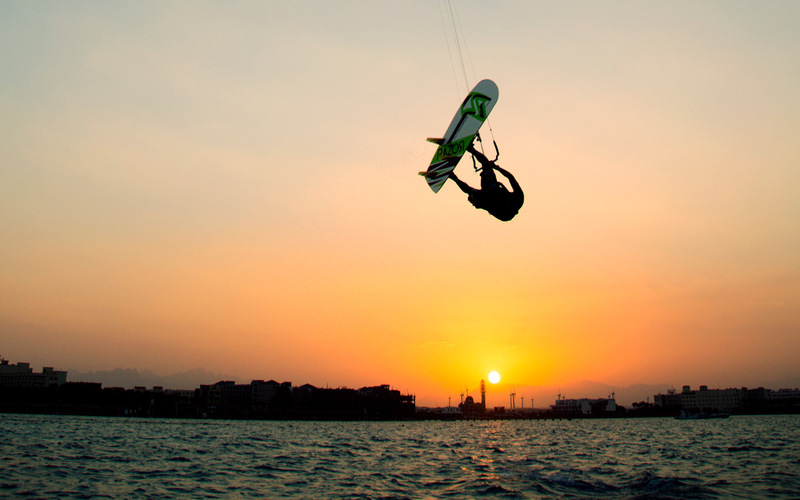 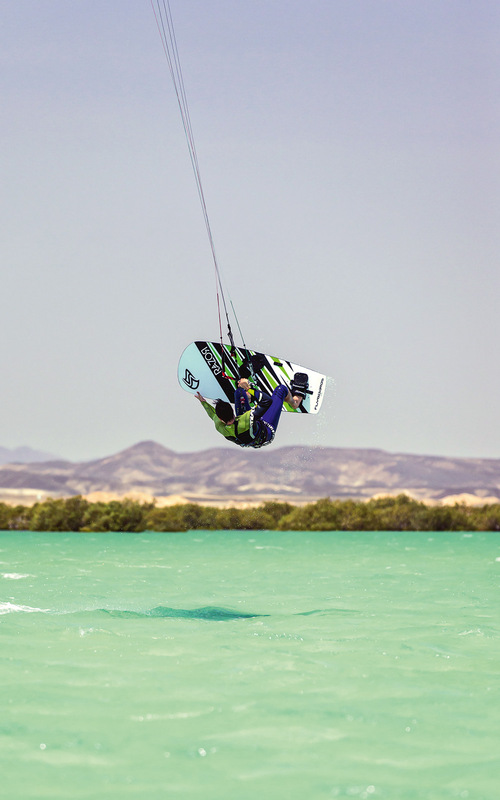 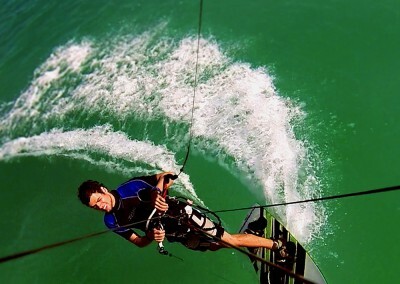 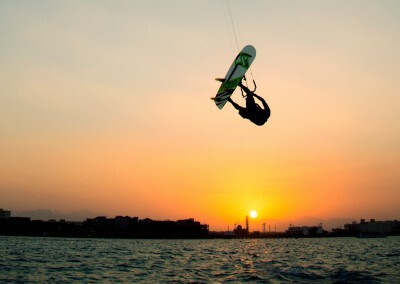 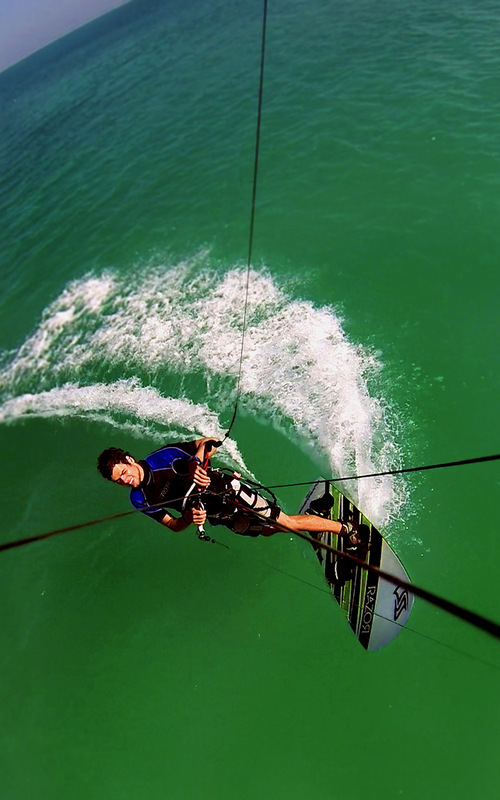 This also offers good comfort for riding in wavey or choppy conditions as well as allowing you to jump. 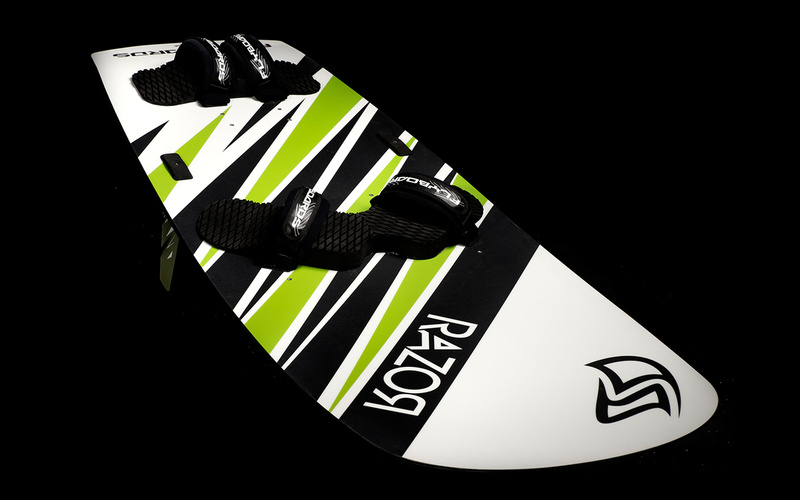 The Razor is finished with a robust top sheet, laminated with an anti-slip coating to help your feet maintain grip when adjusting your stance. 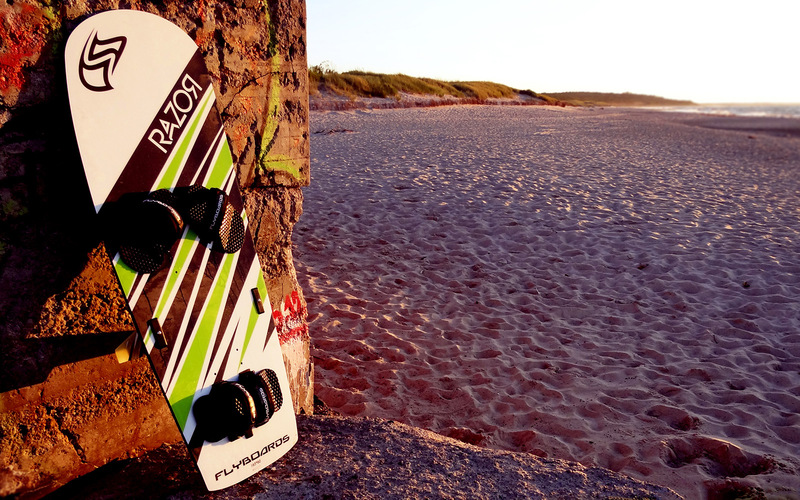 The innovative construction means the Razor takes up less space in your board bag when travelling than any other race board, and also is a lot more resistant to dents and possible damage. 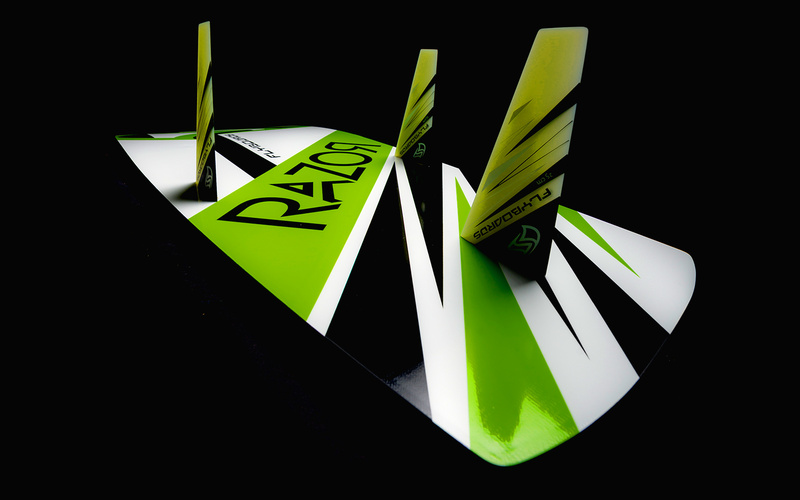 A highlight of the Razor is the extremely pressure resistant and light Airex foam core which is laminated with a robust layer. 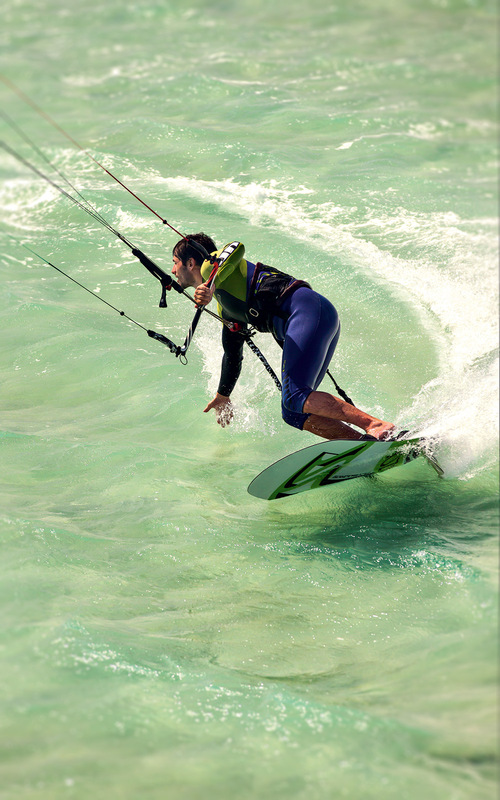 Due to this layer it is extremely durable and easy to transport.